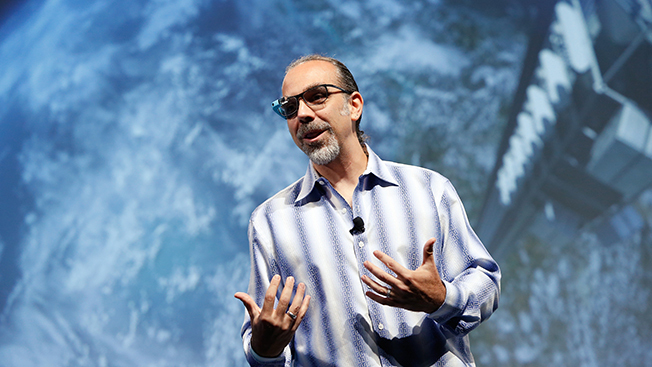 During a South by Southwest keynote today, Google X's moonshots captain, Astro Teller, told a packed crowd that Google Glass failed because of the negative publicity it suffered from in recent years. Google Glass is one of many projects that are part of Google X, the company's secretive lab that Teller spearheads. According to him, the Mountain View, Calif.-based tech giant started the Google Glass Explorer program a few years ago with the goal to see how people responded to wearable glasses. The program was shut down in January—after a steady stream of news articles and blog post referenced people who wore the devices as "glassholes." "The great decision is that we did the Google Glass Explorer program—that was absolutely the right thing to do," Teller said. "The thing that we did not do well—that was closer to a failure—was that we allowed and sometimes even encouraged too much attention for the program." The problem was that people thought it was Google's final product. But in fact, it was a prototype that Google was testing. "We could have done a better job communicating that and preventing it from becoming as loud of a conversation as it got," Teller said. What a difference a year makes. Last March at SXSW, marketers were abuzz about brands like Kenneth Cole and The Weather Channel developing Google Glass advertising. In 2015, it's already just a footnote in tech history. Teller also discussed Google's self-driving car that's the talk of the tech world, especially considering all of the chatter about the ride-sharing war between Uber and Lyft this week. "If you could make a car that really is safer than a person at driving all of the situations [in which] a person drives, there are more than a million lives a year that could be saved," Teller said. Additionally, he claimed that self-driving cars could save $1 trillion worth of time spent per year. Unlike Google Glass, the company is testing out every scenario and problem with self-driving cars before launching them on the market. For example, he offered this anecdote: One of Google's test cars was recently driving around in California when a woman in an electric wheelchair was pushing a duck off of the road with a broom. Those types of quirky encounters are helping steer the design and features of upcoming cars, Teller explained. Every day, Google's self-roaming cars drive 1,000 miles of city streets to find similar situations that test how the cars react. "Now that we have this real-world data, it's in our system," Teller said. "It's not about not going out and not having these bumps and scrapes—it's about making sure to get full value from them."